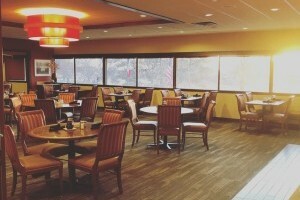 Independently owned and operated by Friends of Iowa State University, Gateway Hotel was established in 1978 and has always featured a restaurant that provides a unique experience for diners. 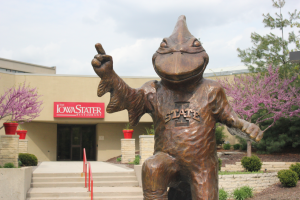 The IowaStater Restaurant opened its doors in 2010, welcoming visitors to Iowa State University, returning alumni and residents of Ames and the surrounding communities into its warm and friendly atmosphere. Please enjoy the panoramic landscape view through the many Iowa seasons, and venture into our Iowa State University Gallery Hallway to get a peek into the ISU and Ames experience. Looking for a spot for your next family gathering or special occasion? Reservations are accepted and private dining is available! Please give us a call or use the contact form for more information.